Comments Off on The magic, transmogrifying greenhouse! Farm Work Party This Sat September 3rd at Grand Island!! 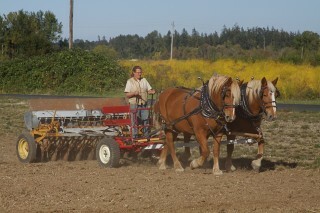 Join us to learn more about our Grand Island farm and hang out with the horses (Bonnie & Patty). At this late-summer work party the focus will be on building new tables for our soon to be built green house. There will also be other projects like moving the horse fields, weeding our newly planted winter crops, and much more. You are welcome to bring family and friends- there will be things to do for folks of all ages and abilities. Kids are welcome to come help work or just hang out. We’ll provide snacks and drinks. You’ll get to sample all sorts of tasty treats from the garden. 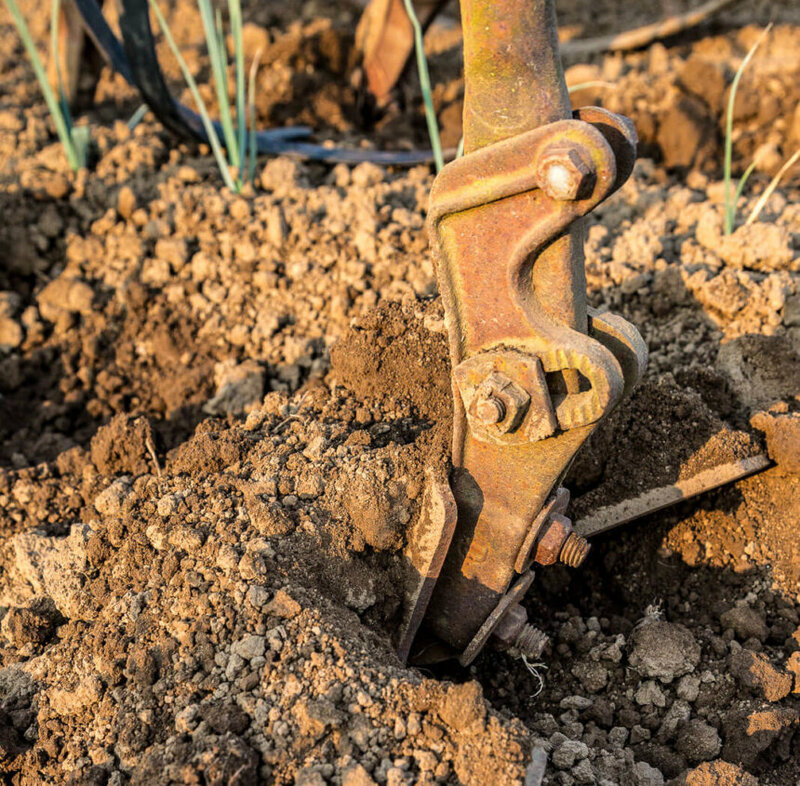 Please bring your favorite gardening tools and dress for the weather. To celebrate all our hard work we’ll have a potluck afterward – bring something to share and/or put on the BBQ. Reply to let us know you’re coming if you can. Any Questions call Laura at 971-645-3293. Hope to see you there! Mapquest will tell you to come down 99W which works fine. You can also come via I5 is a bit faster and you get to take the Wheatland Ferry ($2). Turn left onto SE Lower Island Rd and we’re the first place on the left. Comments Off on Farm Work Party This Sat September 3rd at Grand Island!! Comments Off on Help Protect Grand Island! Borrowed a grain drill from our neighbors at Oakhill Organics to seed 15 acres of cover crop at Grand Island last week with Bonnie & Patty. My friend Neal McCool brought his mules to help too. What fun! 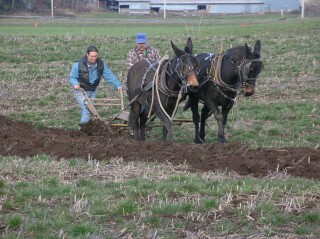 Spent a glorious sunny day down at Grand Island with my friend Neal McCool learning to plow with his mules Bart & Bonnie. 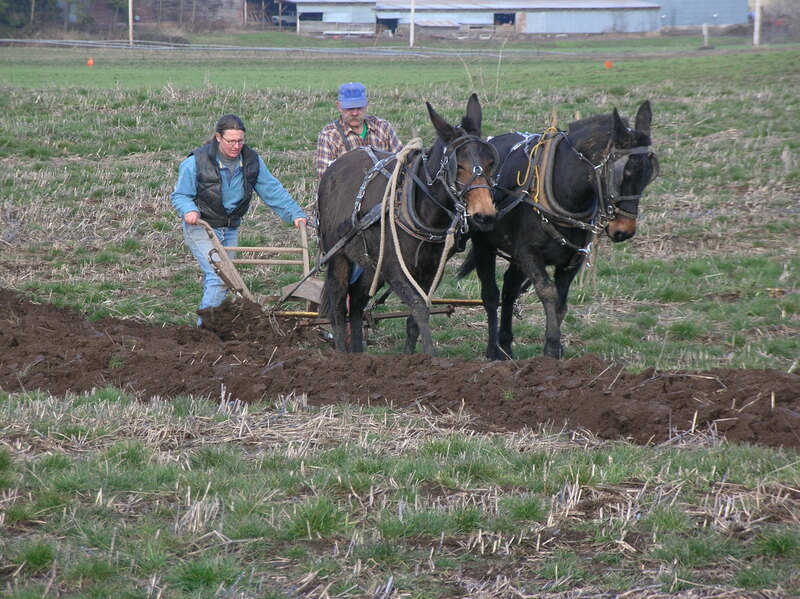 The mules with a walking plow are much lighter on the ground than a tractor would be, but even so – those are some amazing soils down there! Where else along the 45th parallel could you be plowing in January?